Seize the day at Nature park Sutivan! Nature park Sutivan is the perfect place to take a trip with your family. In the area of 12,000 square meters, there are various activities for you to do. Engage in walking tours to experience beautiful scenery that surrounds you. You can even see a botanical area with large number of different sorts of fruit, herbs and olive trees, and a wide variety of animal spieces including famous Dalmatian donkeys. If you want to be more active, there are various sports facilities, playgrouns for children and pony-horses that you can ride. 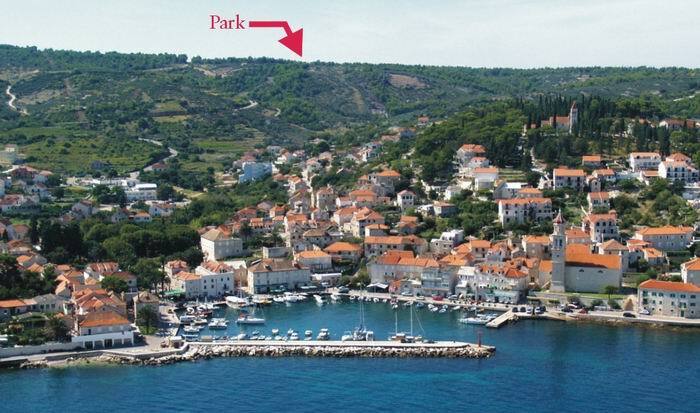 Featured in the #bestofbrac adventure section of our Brač Pass! Get one so you can enjoy their offer with a discount! For direct contact or navigation instructions, download our free app!